Every woman has it. No one likes it.Yes, you`re right – we are talking about cellulite. It is normal to have cellulite, but it bothers us. Luckily, there are procedures that can make it less noticeable, if not make them disappear. Our headline says “top cellulite treatments” and by that we mean the combination of the best possible procedure and anti-cellulite cream. Cellulite affects women more commonly than men, due to the different distributions of fat, muscle, and connective tissue. Between 80 and 90% of women experience cellulite at some point. The use of radiofrequency for skin tightening is a relatively new concept which results in cellulite reduction. As we mentioned in our previous post BTL Exilis Ultra combines radio frequency and ultrasound to tighten skin and address body concerns such as fat and cellulite reduction. Contouring the body with Exilis Ultra effectively reduces the appearance of cellulite and fat. Therefore, deep, controlled heating of the fatty layers underneath the skin, as well as increased blood circulation, lead to the fat being deposited and drained through the lymphatic system. As a result, the appearance of cellulite is reduced at the same time. Why is Solution Booster the most effective anti-cellulite cream? 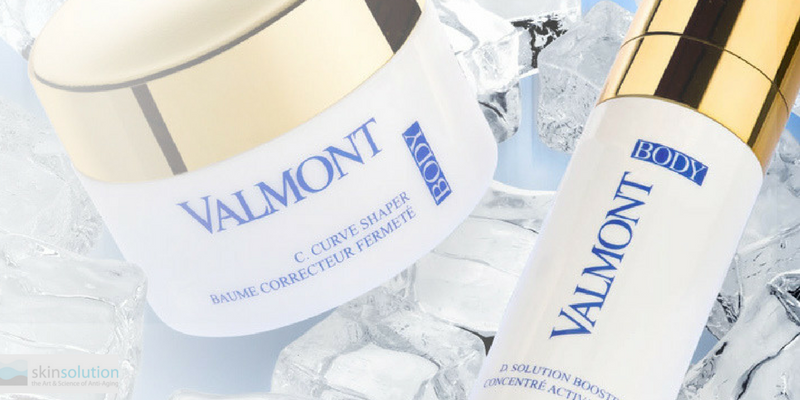 Thanks to a Valmont state-of-the-art new combination of cosmetic ingredients (caffeine, forskolin, destocking complex, draining complex, etc.) introduced in high concentration, D. SOLUTION BOOSTER reduces the look of orange peel skin. On application, an intense freshness appears on the skin, already giving the impression of a toned body. In order to achieve the best possible results, all those who are targeting cellulite must follow with C Curve Shaper. This slimming firmness balm is perfect for lax skin and also reduces the appearance of stretch marks and fights all signs of aging. All our clients who coped with a certain skin concern for a while understand that there is no one miracle procedure. The combination of an adequate treatment and the right product do all the work. Let us help you! False Creek Skin Solution Team will be more than happy to tailor the treatment according to your needs and budget. The results are spectacular! Body is slimmer. Skin is firmer. Call 604 877 1299 to book a complimentary consultation today!